The Ashland Business Association (ABA) is dedicated to increasing profitability and visibility of its members, and to advocating for a positive business environment within the Town of Ashland. To increase the profitability and visibility of its members. To advocate for a positive business environment within the Town. To participate in the Town activities as member citizens. To facilitate the flow of information among the membership. 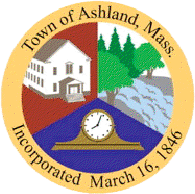 To facilitate communication between ABA and the Town of Ashland. Shall consist of President, Vice President, Secretary, Treasurer, Publicity Coordinator, Webmaster, and Members-at-Large. The Steering Committee sets the agenda for the Ashland Business Association. President: Controls the Agenda for all meetings. Presides at all Steering Committee meetings and Business Association meetings. Liaison between the ABA, and the Town of Ashland and the Community. Vice President: Assists all Steering Committee personnel in any portions of their positions. Parliamentarian for both the Steering Committee and the Business Association meetings, using Roberts Rules of Order as a guideline. Produces meeting agendas. If the President should be unable to chair a Steering Committee meeting and/or a Business Association meeting, or to complete his/her term of office, the Vice President will assume the duties of the President. Secretary: Responsible for taking Minutes of both the Steering Committee meetings and Business Association meetings. Maintains official ABA files. Treasurer: Responsible for the receipt and disbursement of all funds of the organization. Keeps accurate records of all ABA financial business. Maintains current membership lists and mailing lists. Updates renewing members. Mails invoices electronically, or hard copy when necessary. Publicity Coordinator: Researches, writes, and disseminates news releases and articles on behalf of the ABA. 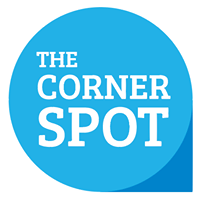 Oversees publicity in other media such as Internet, radio, and cable TV Writes the newsletter and other email blasts going to members, with input from Officers. Designs, produces, and/or oversees advertising items such as flyers, ads, and posters. Webmaster: Enhances the ABA’s website and keeps it technically operational and updated. Formats the newsletter for the website and puts it online. Sends the newsletter and other email blasts to the membership. Revises the Business Slideshow monthly. Authorizes new/updated members in the directory and sends welcome/instruction letters. Manages aspects of website hosting, monitoring, and domain registrations. Members-at-Large: Attend Steering Committee meetings and assist and advise Officers in their duties. Raises issues for the general membership. Makes decisions for the Association when there is a need for immediate response (such decisions to be kept to an absolute minimum). All Steering Committee positions will be elected by the general membership. All Steering Committee position terms, except President and Vice President, will be for one year (May 1 – April 30). President and Vice President terms will be for two years (May 1 – April 30). No term limits for Steering Committee positions, except President and Vice President. Steering Committee positions have the option to run for another term or another position. Section A. Slate of officers shall be presented at the February meeting, and will be voted upon by the general membership at the April meeting of the Ashland Business Association. Section B. Steering Committee will take office May 1st of each year. Section A. In January, the President will appoint a Nominating Committee chairperson from the general membership. Section B. This committee shall consist of the Steering Committee plus two other members of the Ashland Business Association. Section C. The Nominating Committee chairperson, at the February meeting of the Ashland Business Association, will present the slate of officers. Additional nominations from the floor will be taken at this time. Section D. The Nominating Committee shall hold the general election for the officers of the Steering Committee at the April meeting of the Ashland Business Association. Section A. The President shall appoint all the Standing Committee chairpersons. Section A. Open to all business owners, executives, managers, and employees with a physical business, office, or residence in Ashland. Section B. Applicants for membership that do not meet requirements of Section A will be voted on by the ABA membership upon a positive recommendation by the Steering Committee. Applicants may be required to submit supporting documentation or other requested items. Section C. Members whose dues are paid and current, and honorary members, shall have voting rights and privileges. Section D. Renewal dues, based on the member’s enrollment date, are to be paid within a month of receiving a renewal notice. Section A. Bylaw amendments and/or additions must be brought to the floor at an Ashland Business Association meeting. Section B. Proposed amendment and/or addition will be introduced, seconded, and discussed as laid out in Roberts Rules of Order. Section C. The proposed Bylaw amendment and/or addition must be presented in writing to the active general membership 30 days prior to a vote (a show of hands at a general Business Association meeting). Section D. Proposed Bylaw amendments and/or additions are only voted on at an Ashland Business Association meeting. Section E. Passage of the proposed Bylaw amendment and/or addition requires a two-thirds majority vote of those active ABA members present.